While England has always laid claim to being the home of football, in the last few years the beautiful game has definitely taken a holiday home in sunny Spain. The two countries’ footballing histories have a lot in common. Great league and cup competitions, big-spending clubs, world-renound players, and one glorious international tournament triumph followed by years of expectation and disappointment – that is until recently. During the last five years, Spanish football has truly made its mark on the game. The current period belongs, and will forever belong, to Spain. The international side has won successive European Cup and World Cup tournaments and is tipped by many to make it three in a row this summer. La Liga has produced more Champions League finalists and winners this century than any other country. 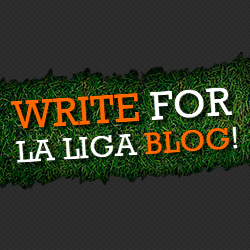 And nine of the twelve FIFA World Player of the Year awards since 2000 have been won by La Liga players. But while current Spanish players are household names, it shouldn’t be forgotten that Spain has long produced world-class footballers. While the current crop have gelled magnificently as a team, there have been many individual stars in red and yellow over the years. So in honour of La Furia Roja‘s footballing elite, here are our picks for the best Spanish players of all time. Solid, utterly dependable and with an astonishing talent for goalscoring. 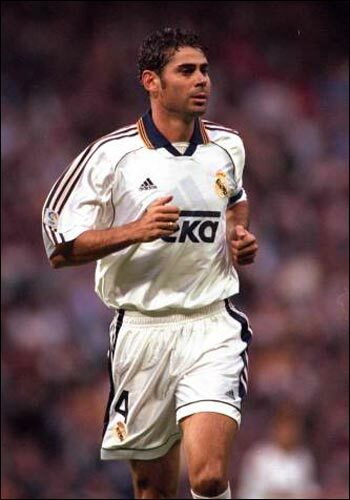 Hierro was the sort of defensive player every team craved. An incredibly successful 15 years with Real Madrid produced five La Liga titles and three Champions League final victories. 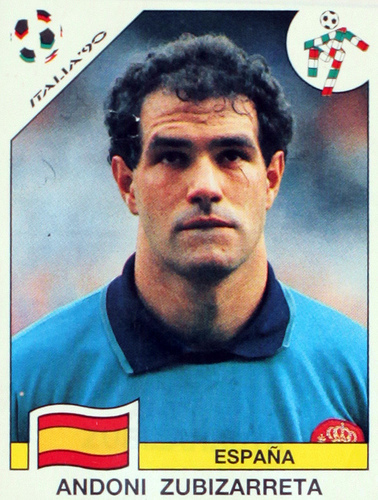 His international career included appearances in four World Cups and two European Championships and was blighted only by a penalty shootout miss in Euro 1996 which sent Spain home. One of the most feared strikers in Europe during the 1980’s, his countless ‘poacher’s’ goals from inside the penalty area earned him the nickname ‘The Vulture’. 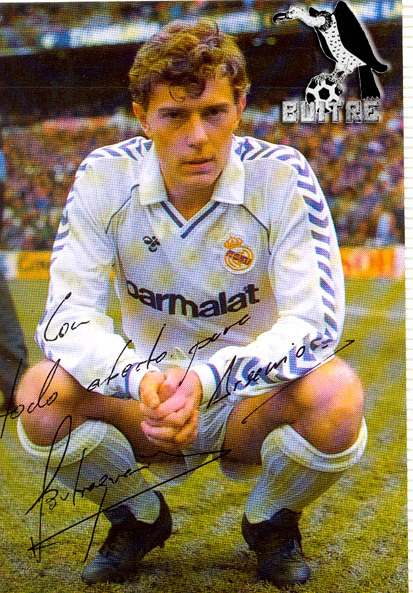 El Buitre was a huge influence in turning Real Madrid’s uneven form into five successive La Liga titles during the back half of the eighties. Internationally and otherwise, his best moment came when he scored four goals against the highly-rated Danes in a 5-1 win at the 1986 World Cup. Spain’s all-time record goalscorer simply has to make this list. The slightly vertically-challenged striker has spent the majority of his career answering critics, and he’s done it with class on and off the pitch. Villa just cannot stop scoring. His goals have won cups for Real Zaragoza and Valencia, and virtually every honour imaginable for Barcelona and the national side. Having previously played for Argentina and Colombia before controversially transferring to Real Madrid and gaining Spanish citizenship, this immensely powerful forward became one of the greatest players ever to take to the pitch for Spain. 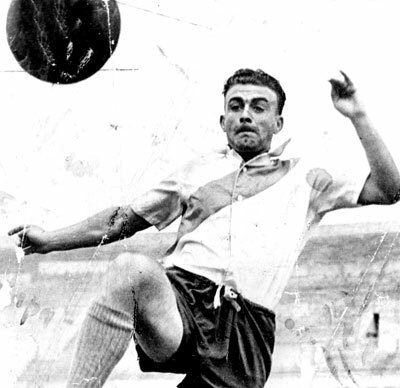 The fourth highest goalscorer in La Liga history, Di Stéfano’s vision and versatility inspired Madrid as they won eight La Liga titles and five consecutive European Champions Cups. Despite taking his excellent form into the international game, amazingly he never played in a World Cup. This ‘keeper was the very definition of dependability. His fantastic positional play meant he rarely had to make spectacular saves, and not only was his goalkeeping record impeccable but ‘Zubi’ virtually never missed a game for club or country. Absent for just four games in four consecutive title-winning seasons for Barcelona, he also helped the club lift their first Champions League trophy. 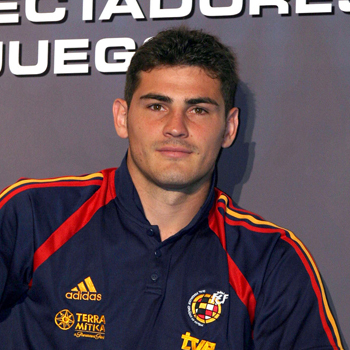 With over 600 La Liga appearances under his belt, Zubi also represented the national side in four World Cup and three European Championship tournaments. Coming through the ranks at Barcelona, Iniesta has spent the entirety of his career so far at the club. And why wouldn’t you? The trophies and titles just keep coming. But the undisputed best club side in the world today owes a lot to their midfield maestro. His vision, passing, teamwork, goals and assists have been instrumental to the success of the current Barcelona and Spain sides. Sound familiar? This Luis Suárez isn’t Uruguayan and never played for Liverpool though. 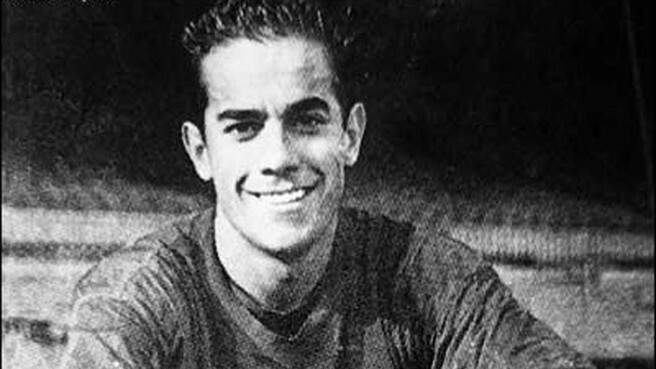 During the 1950’s and 60’s the graceful midfielder won two La Liga titles with Barcelona, three Serie A championships and two European Cups with Internazionale and, after becoming the first and only Spanish-born player ever to be voted European footballer of the year, helped Spain win the European Championship in 1964. The greatest goalkeeper ever? Quite possibly. Captaining club and country to major titles, for years Casillas has been a brick wall taunting the world’s greatest strikers as they hang their heads. A consummate professional throughout his career, Spain’s most capped player of all time is part of a select elite who have won winners medals in every major club and international competition. Just call him Mr. Real Madrid. The club’s record goalscorer of all time also holds the record for appearances. His 228 goals helped Madrid achieve six La Liga championships during his time at the club, while his long-standing record tally of 71 Champions League goals led to Real lifting the trophy three times. One of the few players in the world who can claim the distinction of never having received a red card in professional football, despite lack of success with the national side being the only blot on an impeccable career, Raúl was and forever will be a fans’ favourite. 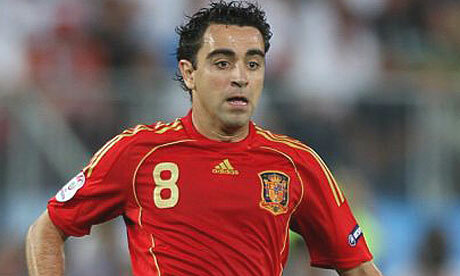 Turning in astonishing performances week after week, Xavi has been world-class throughout his career. But it’s been the last five years, during which he has propelled Barcelona and Spain into the history books, that he has shown the world his true genius. An absolute master of the art of football, his vision, passing and reading of the game are unrivalled in football today. Winning everything there is to win has done nothing to dampen this midfield general’s hunger for perfection and success. He’s sure to go down as one of the all-time greats of football.